Heeding widespread concerns about how much of its users' personal data it shares on the web, Facebook said it will begin implementing simpler privacy settings on Wednesday. "I can confirm that our new, simpler user controls will begin rolling out tomorrow. I can't say more yet," Facebook spokesman Andrew Noyes told CNN in an e-mail Tuesday. Currently, users of the popular social-networking site must navigate through some 170 privacy options. Some Facebook members have said they're confused by the settings, while others have threatened to delete or deactivate their Facebook accounts until the site gives them more control over their info. 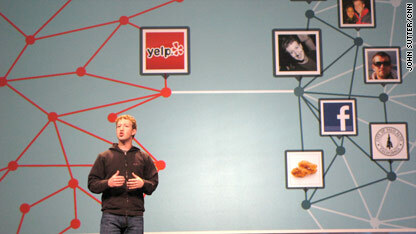 Tuesday's announcement suggests Facebook CEO Mark Zuckerberg is making good on a recent promise. "There needs to be a simpler way to control your information," he wrote in an op-ed piece published Monday in the Washington Post. "In the coming weeks, we will add privacy controls that are much simpler to use. We will also give you an easy way to turn off all third-party services." The recent backlash against Facebook came after the site, which has more than 450 million members, introduced a new tool last month to spread Facebook users' preferences and data to partner sites around the web. Reclusive Apple CEO Steve Jobs will lend his approval, and cooperation, to a book about his life, according to a report in The New York Times. The authorized biography will be written by Walter Isaacson, former managing editor of Time magazine, says the Times, referencing two unnamed people briefed on the project. "The book, which is in the early planning stages, would cover the entire life of Mr. Jobs, from his youth in the area now known as Silicon Valley through his years at Apple, these people said." Isaacson is the author of bestselling biographies of Albert Einstein and Benjamin Franklin. Neither he nor Apple (big surprise) would comment to the Times about the rumors. "The news will come as no surprise to anyone who has worked with Isaacson," writes Fortune's Philip Elmer DeWitt, who spotted Isaacson in the audience at last month's iPad launch event in San Francisco. "If there is one thread that runs through his [Isaacson's] long career in journalism and public service, it's his talent for spotting the most influential people in any room and finding a way to get close to them," wrote DeWitt in a post today on Fortune's site. There's no doubt that Jobs' life story would make a compelling read. 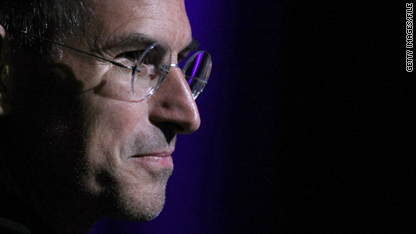 From his role in helping to pioneer the personal computer in the late 1970s to his contentious departure from Apple and triumphant 1997 return to his more recent appearances as iconic pitchman for such revolutionary products as the iPod and iPhone, Jobs has had a remarkable career. Throw in last year's health scare - Jobs had a liver transplant after losing an alarming amount of weight - and his reputation as a brilliant but secretive tech visionary, and you have a larger-than-life character with enough drama for several books. The question is whether Jobs will allow Isaacson to write candidly about Jobs' demanding managment style and king-sized ego. According to the Times, Jobs has reacted angrily to some of the unauthorized biographies of him that have appeared in recent years and has even directed Apple stores to temporarily stop selling other books from the same publishers. "Cooperation with Mr. Isaacson could be a sign that Mr. Jobs has emerged from his recent health battles with more of an interest in shaping his legacy," the Times wrote. What do you think? Will an authorized biography of Steve Jobs shed meaningful new light on a fascinating figure, or will it be a self-serving homage to someone who doesn't need more hype? When they're not trolling TMZ, people surfing the Web for updates on the Tiger Woods' scandal go to Woods' own Web site, where on late Friday afternoon he posted a statement saying he is taking an indefinite hiatus from professional golf "to focus my attention on being a better husband, father, and person." The site, which has seen a huge spike in visitors since Woods' post-Thanksgiving traffic crash, is also where Woods posted a much-publicized Dec. 2 apology under the euphemistic headline, "Tiger comments on current events." If you're scoring at home, in the past nine days that makes two comments by Tiger - and more than 24,000 comments by fans and other visitors to the site, which has become perhaps the leading Web forum for people expressing their support or disgust over his behavior. Twenty-four thousand comments - considering that a popular blog or news site is lucky to get 500 comments on a post, that's pretty remarkable. They run the gamut, from "Let the healing begin" to "I will not look up to a disgrace like you!" to "please read some Deepak Chopra." Most of the comments, however, have been supportive. Is Tiger reading any of them? Who knows? Either way, it's pretty much a one-way conversation. But until Woods emerges from seclusion to discuss his sorry situation, it's a conversation that plenty of people seem more than willing to have. What was the world buzzing about most in 2009? 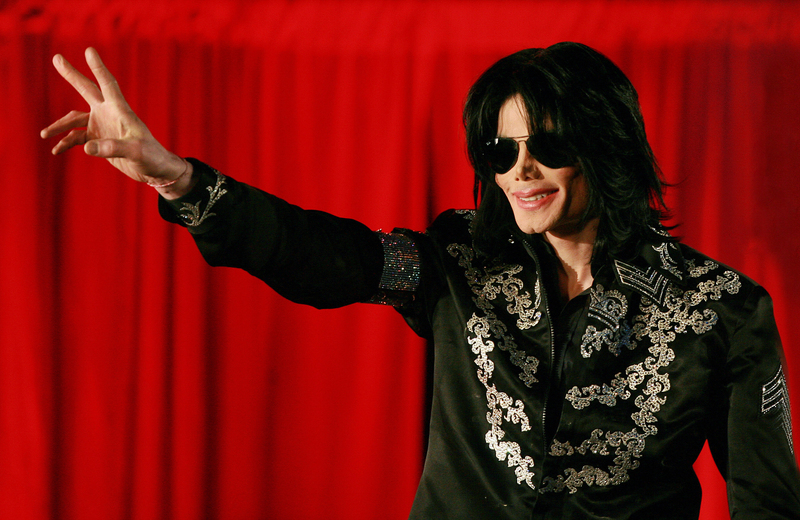 Michael Jackson’s death, the rise of Twitter, “New Moon’s” vampires and Microsoft’s Windows 7 release, among other hot topics gathered by Google for its annual Zeitgeist survey. The year’s other “fastest-rising” topics, culled from Google search results in almost 50 countries, included Facebook, emerging pop star Lady Gaga, Spanish social-networking site Tuenti and Torpedo Gratis, which I believe has something to do with sending free text messages in Brazil. These replace 2008’s hot topics, many of which landed on Google Zeitgeist’s “fastest-falling” list for 2009: The Beijing Olympics, Barack Obama, Wii, Heath Ledger and Amy Winehouse. To compile the 2009 Year-End Zeitgeist, Google says it studied the aggregation of billions of queries people typed into Google search so far this year. “We use data from multiple sources, including Insights for Search, Google Trends and internal data tools. We also filter out spam and repeat queries to build out lists that best reflect 'the spirit of the times,' " Google said in a statement. Last year's fastest-rising topic, Sarah Palin, didn't make the fastest-falling list this year, which means people must still be intrigued with her. Maybe it's all the fuss over her book, press tour and chat with Oprah. The only topics to make the "fastest-rising" list for 2008 AND 2009? Facebook and Tuenti. For some do-gooders, today isn’t just Thanksgiving. 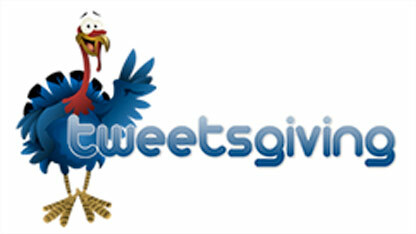 It’s also the second annual TweetsGiving, the culmination of a 48-hour global effort to raise money online for a school in Arusha, Tanzania. Participants are encouraged to share what they are grateful for – and donate money, of course - through Facebook, Flickr, YouTube, and of course, 2009’s new media darling, Twitter. The project is the brainchild of a U.S. nonprofit called Epic Change. Last November, Epic Change’s efforts raised $11,000 in 48 hours through hundreds of small donations, which the organization used to help build a classroom at the Tanzania school. Epic Change dubbed the students the “Twitter kids of Tanzania” and encouraged users to send tweets to them via their #Twitterkids blog. This year, Epic Change had hoped to raise $100,000 by midday Thanksgiving to build the school a dormitory, library, cafeteria and more classrooms. As of Thursday at 11 a.m. ET, however, the effort had raised only about $26,000 – a possible victim of the worldwide recession. If you still want to donate, however, it's not too late. Attention stargazers: If you don't mind getting up early (or staying up late) and can get to a rural area without a lot of lights, the skies should put on a show Wednesday about 4 a.m. ET. 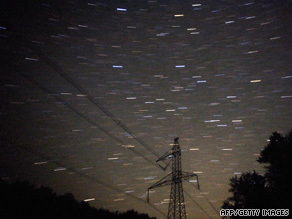 Last August's Perseid meteor shower as seen over Bulgaria. That's when the annual Perseid meteor shower should reach its peak over the east coast of North America, according to SpaceWeather.com. The Perseids appear to come from the constellation Perseus but are actually bits of debris from the Swift-Tuttle comet, which has been orbiting the sun for centuries. The Earth passes through these streams of shooting stars every August. Astronomers expect up to 200 meteors per hour, although many of the fainter fireballs will not be visible due to moonlight. And of course, clouds or bad weather could render them not visible at all. If you're lucky enough to witness the Perseids and want to share what you saw, astronomers from the United Kingdom are organizing what they claim to be the world's first mass-participation meteor star party. The Newbury Astronomical Society is leading a global network of stargazers who will post real-time images of the Perseids on - what else? - Twitter (#meteorwatch). Good luck. 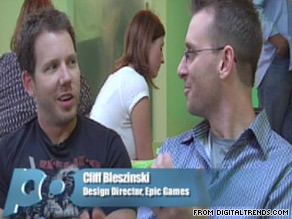 New 'golden age' for video games? Anyone looking for a slick, thoughtful overview of the rapidly evolving state of video games may want to check out a mini-documentary, "Video Games Are Dead," which premiered today on DigitalTrends.com. The doc's provocative title is misleading - gaming is alive and well, thank you - and refers not so much to the recent slump in video game sales as to the industry's fracturing business model. In other words, recession-minded people are increasingly bypassing pricey console games for cheaper, more mobile games they play online, on their smartphones or even on social networks such as Facebook. "I'm not sure if there's a future for set-top consoles, honestly," says software developer Raph Koster of Metaplace, one of many industry experts quoted in the 18-minute film (the doc is split into two halves; Part 2 goes live on the site Aug. 17). "They're kind of at a crossroads." "It's going to be very hard for retailers to keep on encouraging people to build such big [console] games to be sold at the shelf to cover all those extra costs that the gamer doesn't care about at all," agrees game developer Lorne Landing, co-founder of Oddworld Inhabitants. "My personal prediction is that when we look at the future of games at retail, we don’t see it – in five years, it’s going to be like trying to find music on vinyl." But this isn't necessarily a bad thing, says DigitalTrends publisher Scott Steinberg, who narrates the mini-doc. Steinberg believes a new generation of creative, indie developers are broadening the playing field and bringing gaming to new audiences. As examples he cites Flash games, MMO blockbusters such as "World of Warcraft" and the Facebook brain-teaser game, "Who Has the Biggest Brain," which has more than 3.7 million active users. "What we're really seeing is a return to a second golden age of play [after the first golden age of the late '70s and early '80s]," said Steinberg, who also predicts consumers will increasingly stream games through their PCs or cable TV boxes. "People are playing more games than ever ... in more ways than ever." Do you agree? Will console games eventually fade, or are hard-core gamers always going to want specific gaming platforms?